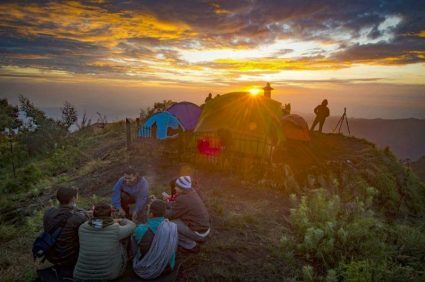 Mount Batok Trekking Tour Package is a trekking package in Mount Bromo area. Mount Batok is a mountain located in East Java, Indonesia. This mountain has an altitude of 2,440 meters above sea level ( asl ) and is west of Mount Bromo. This mountain is one of the mountains that is not active and located in Tengger caldera. From the top of Mount Batok at an altitude of 2,440 asl , you can see the exotic Mount Bromo Crater without a barrier. It’s beautiful with a backdrop of scenery from other mountains in the region. Panorama colors that contrast with the sky. Perfect view when you are at the peak of Batok.